This short course is designed for individuals with limited horse show judging experience, coaches of youth judging teams, FFA instructors and all individuals interested in becoming judges or in attending the Open Horse Show Judge’s Certification Clinic. Emphasis will be placed on teaching the judging systems appropriate for judging various classes in the western, hunt seat, saddleseat and non- trotting divisions. Participants will have a unique opportunity to interact one-on-one with experts to improve their judging expertise while learning the judging techniques taught at North Carolina State University, whose 4-H teams have earned numerous national and world judging contest championships. Participants will receive a judging manual and judge a variety of classes on videotape. 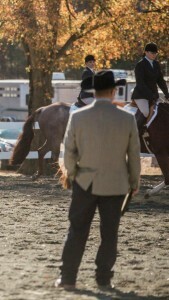 Participants will also receive in-depth instruction on the judging systems specifically designed to train intercollegiate and youth judging teams and horse show judges. The fee for the two-day clinic is $100.00. Registration must be postmarked by October 5, 2018 to avoid a $25 late fee. Registration fees are refundable if requested in writing prior to the deadline date. Substitutions for pre-registered participants will be accepted after the deadline date. NCSU Introductory Level Judging Short Course 2019 Registration Form- Coming Soon! 20 rooms have been blocked at the Holiday Inn and Suites Cary. To make a reservation, please call 919-851-1220 and request the Introductory Horse Judging Clinic rate of $81.00 per night (cut off for this rate is October 18).